Cut the vegetables in long and thin strips. 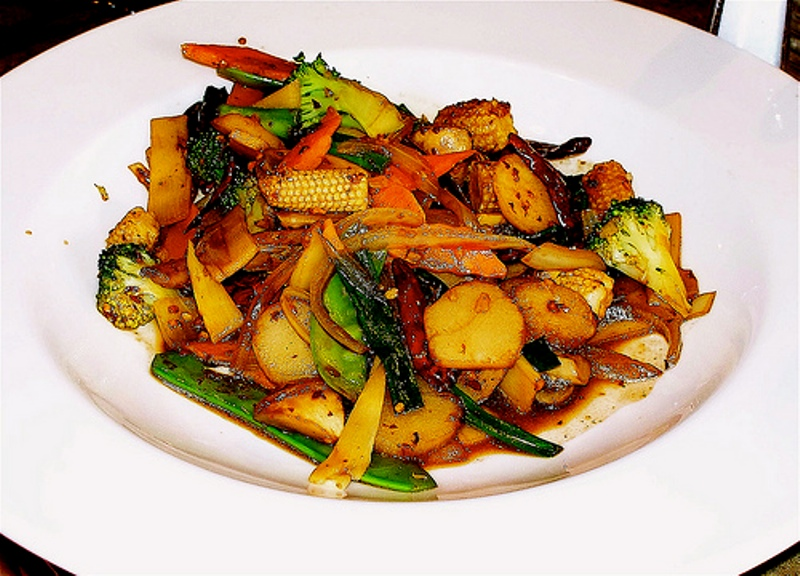 Heat two tbsp oil in a pan and add the vegetables and ajinomoto. Saute the veggies for 7 minutes and then add salt, pepper and sugar. Heat two tbsp oil in a different vessel, and saute boiled noodles in it for two minutes. Now add tomato sauce, chilli sauce, salt and vegetables in noodles, stir for a few minutes. I suggest you blanch the sliced vegetables, drain and then saute. Keeps the colour bright. Also add some sliced green chillies and sliced garlic. Tastes different and delicious.